Elevator operator and member of Local 69 Harvey Lambert operates the elevator at Snellenbergs. 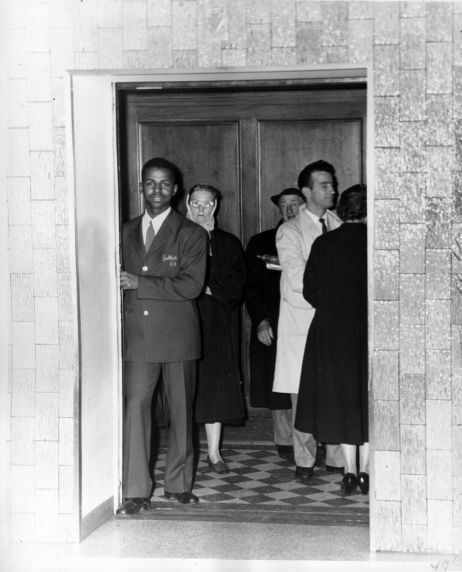 Photo caption: "Attached hereto is a photograph of Harvey Lambert, elevator operator at Snellenbergs. Brother Lambert is a young member of Local 69 performing his job as cordially and efficiently as can be expected of a union member."